You should be able to locate several indispensable details about diamond mines in the following paragraphs. If there’s at least one thing you didn’t know before, think of the difference it might make. Argye mine is located in the Kimberley area in the far north east of Western Australia. This mine, owned by Rio Tinto, is the world’s largest single producer of volume of diamonds. But due to low proportion of gem quality diamonds, it is not the value leader. It does, however, produce 90-95% of the world’s pink diamonds. Diavik, a very large mine also owned by Rio Tinto, is located in Canada. It is located north of Yellowknife and south of the Artic Circle on an island. The island, connected by an ice road, is an important part of the regions economy. The mine employs more than 700 people and produces more than 8 million carats annually. Ekati diamond mine is owned by BHP Billiton. The Ekati is located south of the artic circle in the Northwest Territories of Canada. It was operational diamond mine in Canada. Diamonds mined at Ekati are sold through the Aurias trade name Authenticity is verified by the Canada Mark service. CanadaMark is owned by BHP Billiton Diamonds also. 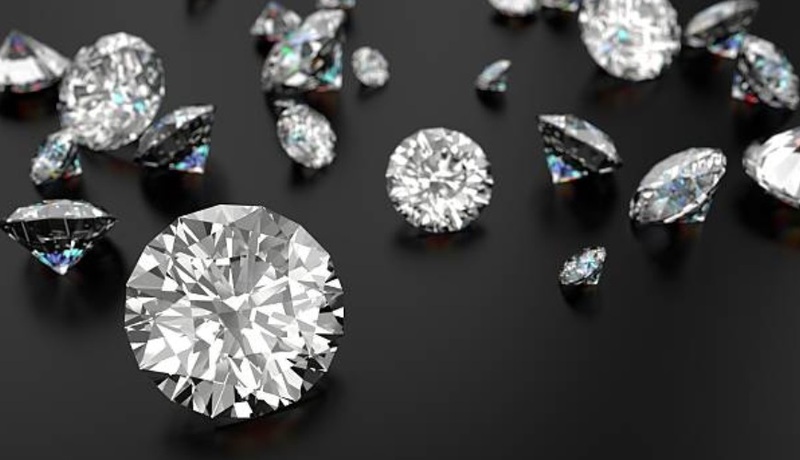 All the information present here about diamonds will do one of two things: either it will back up what you know about diamonds or it will show you something new. Both are great outcomes. Baken diamond mine is in South Africa, located along the lower Orange River. Trans Hex owns and operates this mine. The average size stone from 2004 was 1.29 carats. In 2004, this mine produced a 78.9 carat D color flawless diamond that was sold for over 1.8 million dollars (USD), plus a 27.67 pink diamond that sold for more than 1 million US dollars. Merlin is the second out of just two diamond mines in Australia. It is no longer running, but it was owned by Rio Tinto and was sold to Striker Resources, who has explored the possibility of reopening it. Orapa is earth’s biggest diamond mine. It’s located 240 kilometers west of Francistown. This mine is owned by “Debswana” which is a partnership between DeBeers and the government of Botswana. The Orapa mine operates 7 days a week. It has pre-primary and primary schools for the employees’ children. There is also a game park and a 100 bed hospital. This mine began operation in 1971 and is the oldest mine that is owned by the Debswana Company. The Premier mine, which is in Cullinan, South Africa, produced the biggest gem diamond ever in 1905. The Cullinan Diamond weighed in at 3,106.75 carats. The Premier mine produced the Golden Jubilee diamond also which weighed 545.67 carats. This mine, owned by the De Beers Company, was renamed The Cullinan Diamond Mine in 2003 in centennial celebration. When the word gets around that you know a lot about diamonds, watch out. Others who want to know about diamond mines will start asking you questions.